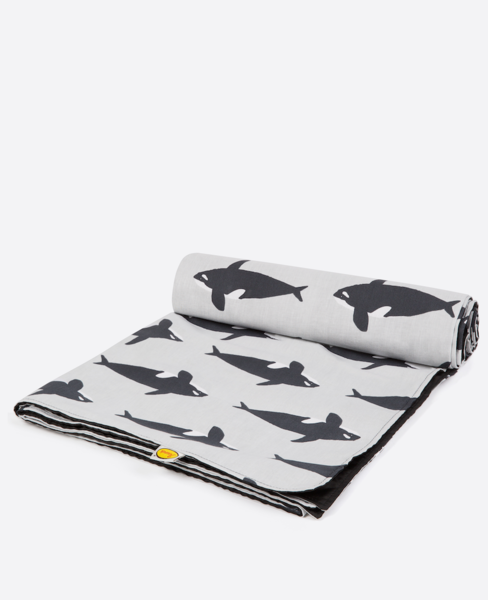 Hit the beach with the Orca picnic rug from the Anorak Sea Life collection. This striking blanket for picnics is printed and manufactured in Britain and features a sophisticated, monochrome killer whale motif on a pale grey background. Orca print picnic blankets offer a convenient way to enjoy picnics since they're made from lightweight 100% cotton and roll away conveniently into adjustable carry handles.